A senior official calling Netanyahu “chickenshit” shows the ugly side of the president and his team when it comes to the Jewish state. When it comes to Israel, President Obama has been Dr. Jekyll and Mr. Hyde. There is campaign Obama, who assures the Israelis he doesn’t bluff when it comes to stopping Iran’s nuclear program, lavishes the Jewish state with even more military assistance than his predecessor, and goes out of his way to let bygones be bygones. Then there is the other Obama. This is the one that instructs his secretary of state to travel to the Middle East to propose a Gaza ceasefire that America’s allies in the region thinks rewards Hamas for starting a war this summer. It is the Obama who emerges in an incisive column published Tuesday by The Atlantic’s Jeffrey Goldberg. But chickenshit is the one that must sting Bibi the most. After all this is a man who has lived in the shadow of his older brother Yonatan, the only Israel commando killed in the raid that freed the hostages at the raid on Entebbe, Uganda. Inside Bibi’s own political party, Likud, his critics often paint him as too timid to take military action. Of course the “chickenshit” comment is not the first time Israeli and U.S. officials have used the press to anonymously attack one another. Earlier this year, Israel’s defense minister, Moshe Ya’alon, was quoted in what he claimed was an off-the-record comment, that he wished Secretary of State John Kerry would win a Nobel Prize already so he could leave Israel alone. (The administration demanded he apologize.) When Ya’alon was in Washington last week, he was snubbed by the White House and the State Department, who refused to take a meeting with him. The snub was then leaked to the press. These days Israeli officials are openly slamming the Palestinian leader who Kerry and Obama have said repeatedly represents Israel’s best chance for a two-state solution. And that’s not even on the biggest source of tensions between Israel and the U.S. Now, on the eve of what may be a deal between Iran and the West that could allow Iran to keep its nuclear centrifuges in place, senior administration officials told Goldberg that Netanyahu is effectively boxed in. The military option Netanyahu (and Obama himself) has threatened against Iran if negotiations do not stop their quest for a nuclear weapon, is now effectively off the table. “Comments like this go right to our fears about the Obama administration, which treats our friends like enemies and our enemies like friends,” Senator Mark Kirk, a Republican from Illinois, told The Daily Beast. Even the National Jewish Democratic Council, an organization that has spent the Obama years defending the president, issued a press release expressing disappointment. In Israel the reaction was even stronger. 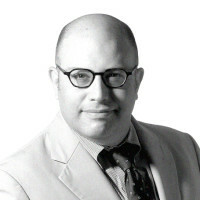 Naftali Bennet, Israel’s right-wing minister of the economy said the Goldberg column signaled that Obama intends to throw Israel under the bus in the Iran talks. Nineteen months ago, Obama was the good guy. The Israeli embassy in Washington was so delighted with his first trip as president to Israel, that they produced a video borrowing Golden Girls theme song “Thank You for Being a Friend,” to tout the visit to Jerusalem. Back then the president and his top advisers were careful to emphasize Obama’s deep respect and admiration for the Jewish state. For its part, the White House is again in damage control. One spokesman for the National Security Council has been emailing reporters Wednesday to tell them that all was fine. David Rothkopf, CEO and editor of Foreign Policy magazine and the author of a new book about the Obama National Security Council, said the attacks have been par for the course for Obama’s foreign policy team. “You have to question whether it’s a constructive policy to talk to reporters and use language like that about an ally, or frankly use language like that about anyone,” he said, adding that the sniping between Israel and the U.S. in recent months is a signal that at least for now the relationship is on ice.